Those are the sentiments of many around the lake who look for answers to questions or try to have their voices heard. What is a watershed? It is the LAND area that drains to a low point. Thus, Hayden Lake is the low point of our watershed. The high points or ridgeline of the land form the boundary of the watershed. What is the Improvement District? The Hayden Lake Watershed Improvement District is authorized under Idaho code to care for the watershed. 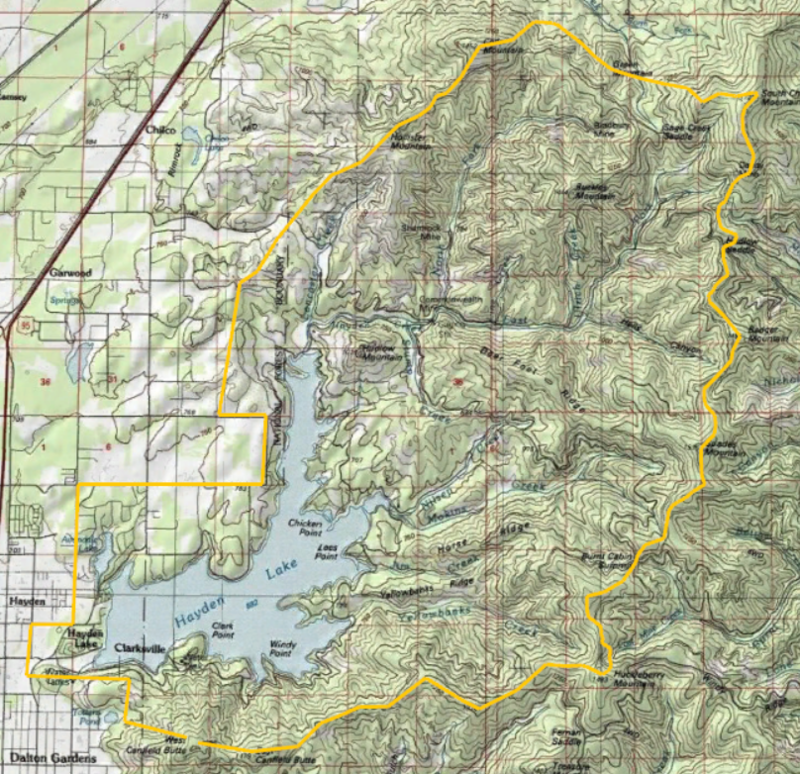 It is defined by the boundaries of the watershed – roughly the drainage area from the ridgeline down to the lake. Similar to a school district, every property owner in the watershed is a part of the Improvement District and pays a small property tax to fund the District’s activities. The mission of the Improvement District is to protect and enhance the water and environment of the watershed. In addition to lake management, it has two long-term projects underway. One project is assessing the phosphorous contribution of neighborhood runoff from the residential hillside above the southeast shore. The phosphorus concentration in the lake water is a concern because it is an indicator of water quality. The second project monitors the nutrient content over time in the lake’s north arm. This data will advance our understanding of the factors that lead to blue-green algae blooms in that part of the lake. Aug 16, 2018 Hayden Lake Watershed Association Inc Annual Meeting. Pictured here are the Association Board members, Chris Meyer, Barb Neal, and Todd Walker (President). The Hayden Lake Watershed Association is an organization of concerned citizens whose interests focus on the lake. Over 14 years ago, the organization formed with the merging of two neighborhood groups who shared a common concern. Since 2009, the Association has held nonprofit status under the IRS 501 (c)(3) statute. A volunteer board manages the association. Member dues and contributions provide funding. 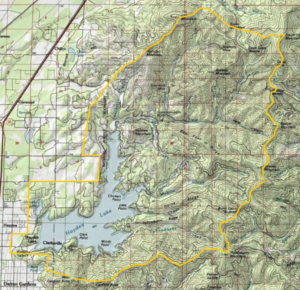 The Association is an advocate for the Hayden Lake watershed, largely on environmental issues. Residential development around the lake often drives these concerns. In addition, it performs citizen oversight of governmental action and its potential effect on lake water quality and can provide a collective voice as an input to the political system. For example, the Association recently asked the Kootenai County Commissioners to withhold approval of an application to change zoning status of a parcel near the lake. Stormwater runoff from the development of this land would have had a negative impact on the lake. What are the relationships between the Improvement District and the Association? The financial resources for the Association are strong when neighbors feel a threat and want to band together for a common purpose. Conversely, in periods where there are no threats, interest in and financial support for the Association declines. Sustainable lake management and long-term, consistent watershed assessment were desired but not possible with such fluctuations in resources. Therefore, the Improvement District was born out of the Association in 2014 to provide financial and oversight stability for the longer-term objectives. Consequently, both organizations work to maintain and improve the quality of the water and the environment throughout the watershed. The Association can provide public input into the political process whereas the Improvement District must remain impartial on political issues. The Improvement District funds sustainable management of the lake and long-term projects whereas the Association, with unpredictable funding, can support only short-term objectives. What are both the Improvement District and the Association a part of? 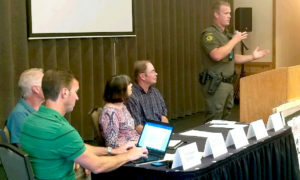 The Improvement District and the Association work together and in partnership with other stakeholder organizations such as the State Departments of Lands and Agriculture, the Kootenai County Government, the Lakes Highway District, the Kootenai Environmental Alliance, and all interested and energetic residents, local businesses, and Lake users. 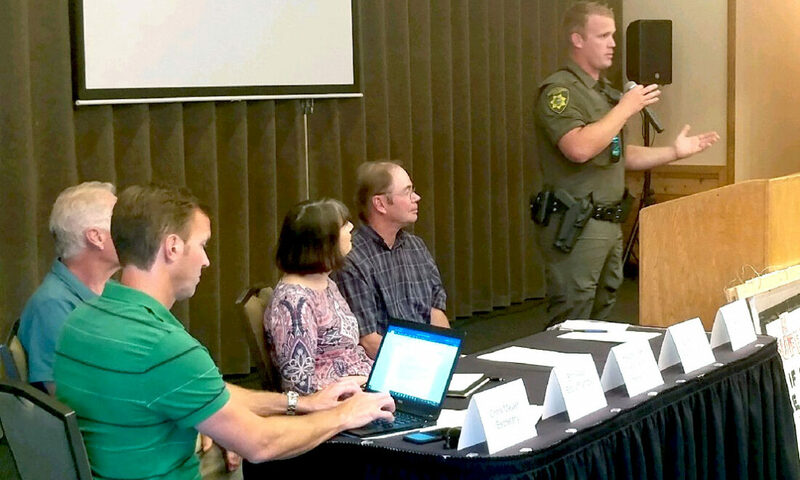 As an example, both the District and the Association have been working with the Idaho Department of Agriculture project to manage noxious weed invasion of the lake. This season’s success, then, illustrates how we best affect change through collaboration. Are you looking for information about Hayden Lake’s water quality or about how your actions might affect the Lake’s water quality? Ask the Improvement District. Subscribe to receive notice of new posts on this website. Contact the Lake Manager, Todd Walker. Contact an HLWID Board member. Are you interested in working with a group of people to influence the County or State government’s decisions? Contact the Association. Peruse the Hayden Lake Watershed Association website.